I can help you have the life you long for! One day I found out that my girlfriend had cheated on me... It felt like a huge punch to the stomach, and my pain was so intense I felt like I was crawling out of my skin! I called my therapist and asked for an emergency session that afternoon. When I got there I sobbed and raged and hit pillows and sobbed for most of the session to help release all that intense pain. You see, when I started my healing journey in my late 20's, I was really numb and cut off from my feelings. I also had an extremely hard time expressing my feelings when I did occasionally feel something. And I was having one painful, unhealthy relationship after another. I felt mostly "dead" inside and longed to feel alive and to be able to have a close, intimate, loving relationship. That's what inspired me to start therapy. My therapist was a smart, heart-felt guy, and he used a technique called "Gestalt Therapy" to help me break through my inner walls to get in touch with my feelings and feel alive again! Sometimes this included painful feelings, but it also included all the joy, love, excitement and whole range of positive feelings that I had been missing out on! He helped me work through my deep discomforts so that I could express my feelings in a vulnerable and connected way. He also helped me work through my emotional blocks so that I was better able to have close, intimate, loving and healthy relationships. This was a very rich, intense, and moving process that spanned MANY years, but I was OK with that since, of course, everyone "knew" that emotional healing takes a long time. In fact, I was so moved and inspired by his help with my healing transformations that I felt a Soul Calling to help people too! I studied Gestalt Therapy for 5 years since it had helped me so much and used Gestalt Therapy with my clients. I helped people make dramatic changes in their lives, which was greatly gratifying...but it was a slow and challenging process as well. After several years, I became frustrated and dissatisfied with the slow pace of healing and thought that there HAD to be a better way that was faster and easier, both for my clients and for my own personal growth. My world changed dramatically when I learned EFT in 2002. EFT completely transformed my healing practice. I was now able to help my clients have amazing breakthroughs in just a few sessions that would have taken months to even years with regular therapy! I worked hard in traditional talk therapy, twice a week for 13 years. I adore my therapist, cherish our relationship and value the work we did together. One of my greatest joys in life is to help people quickly heal their emotional pain and live a life of freedom, joy and inspiration. I love it when my clients not only feel much better but also magnificently succeed where they used to struggle and feel blocked! I've always had an intuitive gift (supported by extensive training) to quickly get to the heart of the matter and discover the true root cause of my clients' problems, typically in the first or second session. All EFT practitioners know how to do the tapping process. However, knowing specifically what to tap on can make all of the difference. I have an extremely high success rate. 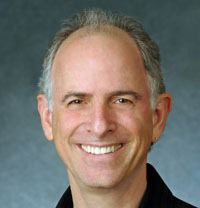 "Stefan makes it easy to do EFT because he is incredibly intuitive and supportive. Even the deepest and most painful memories fade away or even appear funny after a session. 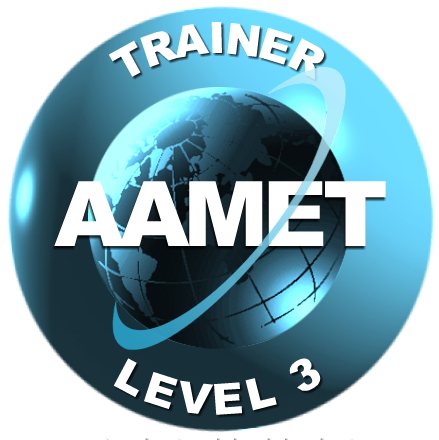 I am a certified AAMET Level 3 EFT Advanced Practitioner and Master Trainer. I am also a certified Matrix Reimprinting and Ask and Receive Practitioner. I have been using EFT in my professional practice for 14 years and have been doing coaching work with clients for over 22 years. EFT has transformed the effectiveness of my spiritual healing practice. I work with individuals (in person and via phone sessions or Skype), with couples, and provide mentoring to other EFT practitioners. "I have experienced wonderful benefits from working with EFT clearing old memories from the past. I trust Stefan in the process to guide me through to the other side and help me to release past hurts and wounds. *See more of my testimonials and disclaimer. I have 9 years of training in the following emotional healing techniques: the Emotional Freedom Techniques (EFT), Matrix Reimprinting, Ask and Receive, Gestalt Therapy, Transactional Analysis, couples coaching, group therapy (Relational Model), EMDR, the Core Transformation Process, Inner Child Healing, Focusing, Guided Imagery & Spiritual Approaches, and other body-oriented therapies. My body-oriented Gestalt Therapy training has given me a particularly good background for helping clients get more clearly in touch with their issues and discover the root of their problems. It is a wonderfully supportive complement to the healing power of EFT. I have a Bachelors Degree in Neurobiology and Biochemistry from the University of California at Berkeley in California. I did one year of a PhD program in Neuroscience but discovered that I enjoyed reading about research more than doing it, so I chose another path. Along the way, I developed a fascination with computers and got a Masters Degree in Computer Science with a specialization in Artificial Intelligence. During my Masters Degree is when I started my own personal therapy, which is what ultimately inspired me to do emotional healing work with other people as I talked about in my story. I proceeded to study Gestalt Therapy intensively for 5 years at 2 different institutes to develop a deep understanding of how we function psychologically and how to facilitate emotional healing. I also did 2 years of extensive training in relationship dynamics and couples counselling to help wonderful souls with their love and intimacy issues. I did another 3 years of intensive training in different forms of Energy Psychology. This started with a year of training in EMDR, but I was not satisfied with my results. I was thrilled when I discovered EFT and got extensive training in Standard EFT, Matrix Reimprinting, and "Ask and Receive" (a spiritually based Energy Psychology method). EFT, Matrix Reimprinting, and Ask and Receive are the three methods that I mainly use today. However, I also combine my original Gestalt Therapy and relationship training with all of my Energy Psychology work. I believe that this combination is part of what makes my work so uniquely effective and transformational. One of the keys to healing is being gentle and compassionate with the hurting parts of ourselves. We may be uncomfortable with and even hate certain parts of ourselves, but these are just parts of us whose needs were never met growing up. By befriending these parts, we can find out what they need and heal them. This is at the root of healing the dysfunctional behavior in our lives. From an appreciative, self-loving place we can work with instead of against ourselves to find much more satisfying solutions in our lives. The work I do is very feeling and experientially oriented. It can be quiet and inward, gentle and nurturing, or delving into the depths, and it is always held within a caring, safe and respectful space. The goal is to get in touch with our true selves and reclaim our aliveness, leading to a fuller, more creative and satisfying life. Your emotional health, your success in the world, and your level of joy can all be dramatically enhanced by shifting the energies that regulate them. That is the promise of the fascinating new field of [EFT].